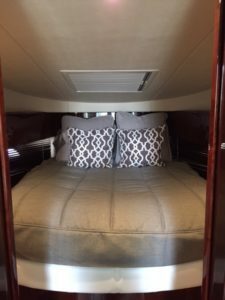 Beautiful custom bedding for this Sea Ray 470 Sundancer updated the space and put the owners personal touch on their boat. 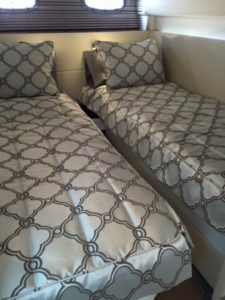 Custom boat sheets, blankets and bedspreads offer a comfortable environment and make dressing the bed a breeze! View our best selling yacht bedding packages to see our updated fabrics and great options.